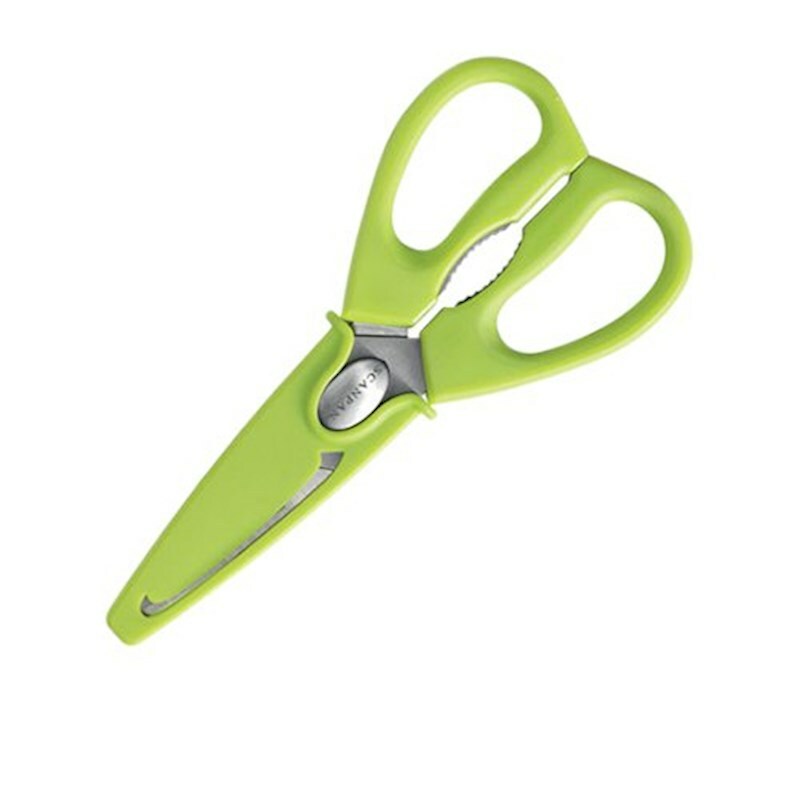 Perform all those small kitchen tasks quickly and efficiently with the Scanpan Spectrum Soft Touch Kitchen Shears. 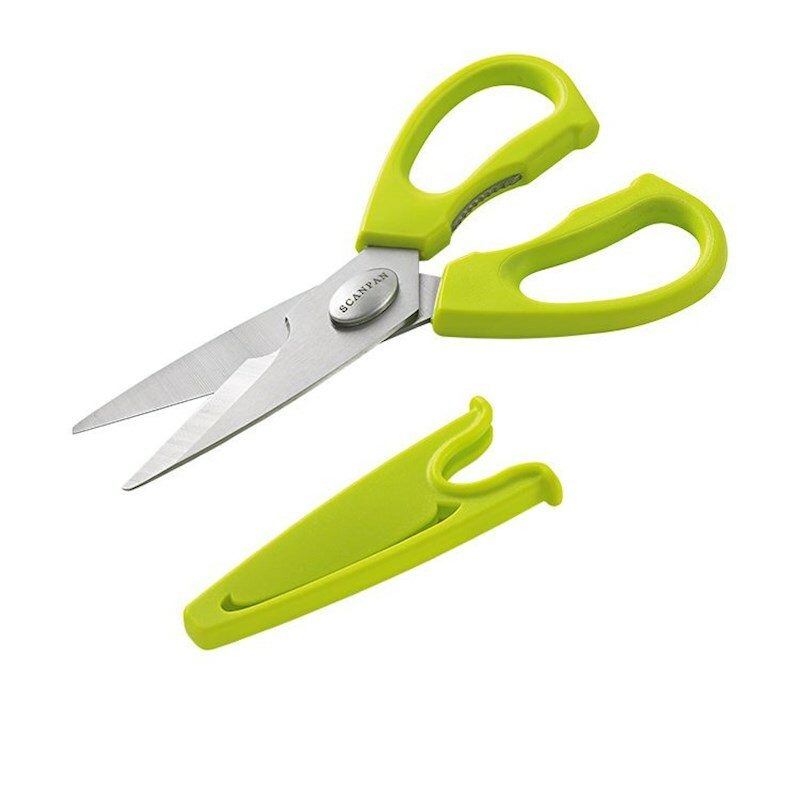 Made of high quality stainless steel, these shears have ergonomic handles for safety and comfort. Aside from cutting, these shears have a bone cutter, nut cracker, bottle opener and safety scabbard - you can do so much with just one tool! 10 year warranty. Dishwasher Safe. However due to the harsh nature of the machine cleaning process, we recommend that you hand wash your shears and dry them with a towel.